One of the latest Hollywood trends when it comes to celebrity engagement rings is split shank engagement rings. A split shank is a cleaved band where two or more strands join together for a unique look. “The Bachelor” contestant Sean Lowe proposed to graphic designer Catherine Giudici with a stunning cushion-cut diamond in a split shank setting. 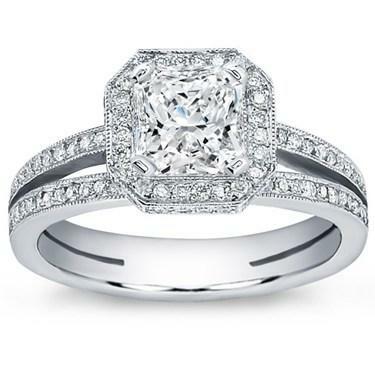 Catherine’s engagement ring features a 3.15 carat center diamond surrounded by 164 smaller diamonds in a pave setting. According to KpopStarz, Giudici said the split shank engagement ring was “classic and timeless.” Guidici also posted a black-and-white photo of her engagement ring on Instagram. Adiamor features a wide selection of split shank engagement rings for brides who strive to keep up with the latest trends in celebrity engagement rings. 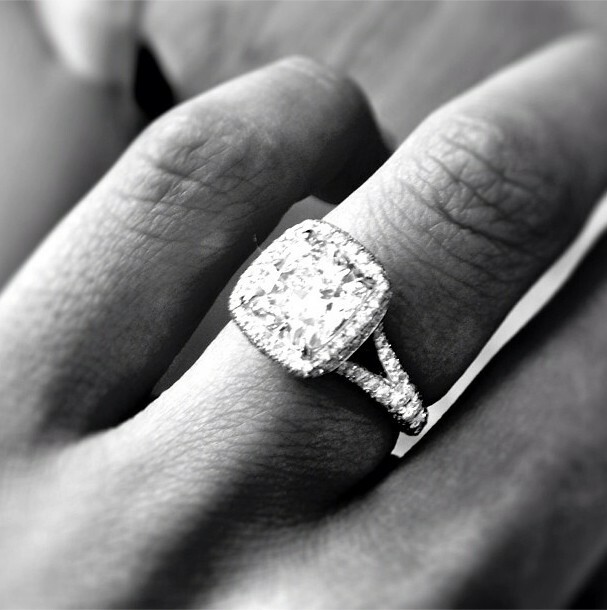 The split shank pave setting for square diamonds is a similar style to Giudici’s engagement ring, seen below. The center diamond is surrounded by 128 smaller diamonds that equal a total carat weight of 0.80. This lovely setting is available in white gold, yellow gold or platinum. A common yet unique twist that can be added to split shank engagement rings are precious gemstones. 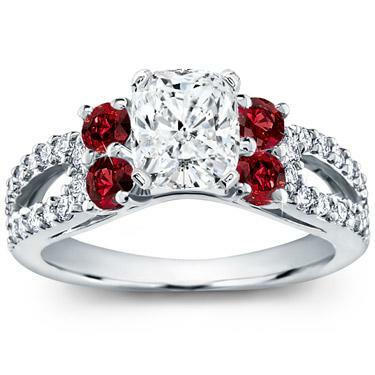 The ruby and pave engagement setting from Adiamor is a perfect example. This ring shows off the center diamond with an accent of four round ruby gemstones, as well as 28 pave-set diamonds. Rose gold can also be a lovely addition to any engagement ring. 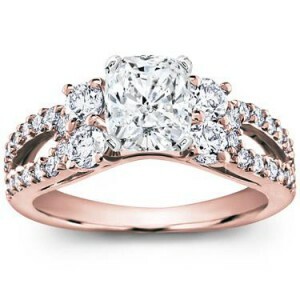 Adiamor’s round and pave-set engagement setting is available in the pink-tinged hues of rose gold. Split shank engagement rings from Adiamor are a beautiful way to say “I love you” all while keeping up with the latest celebrity trends. All Adiamor engagement rings and engagement ring settings are backed by a 30-day money-back guarantee, as well as a lifetime warranty. Adiamor also offers free overnight shipping for domestic orders more than $250. Order engagement ring styles inspired by your favorite celebrity engagement rings at www.adiamor.com.